Create massively profitable paid advertising campaigns. 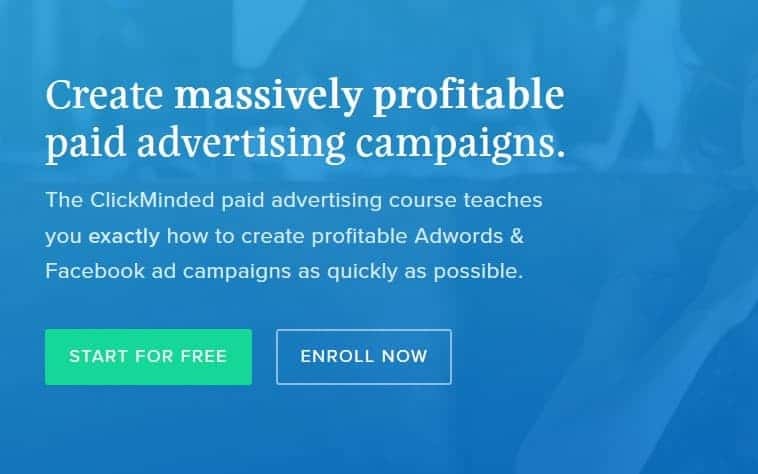 The ClickMinded paid advertising course teaches you exactly how to create profitable Adwords & Facebook ad campaigns as quickly as possible. Heads up: Only the nerds are using ClickMinded. This is the most detailed course on paid advertising out there. World-class Adwords & Facebook ad training, designed to teach you exactly what you need to know, as quickly as possible. Monica is one of the longest-tenured digital marketing instructors at General Assembly. 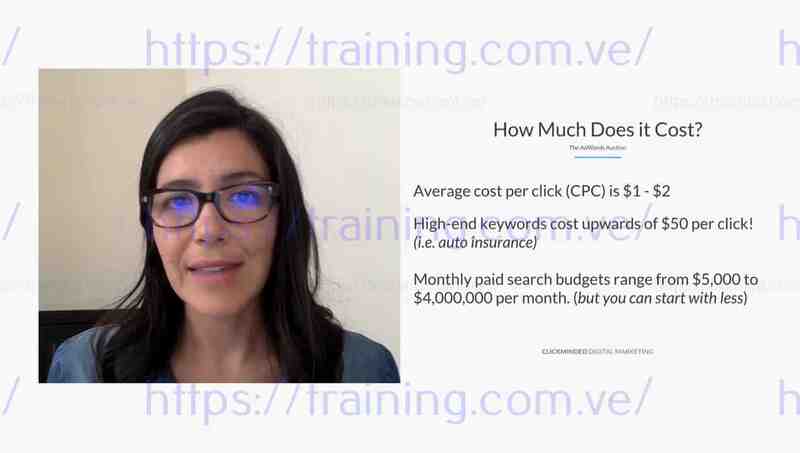 Having run paid at multiple NYC-based startups, Monica takes us through a comprehensive overview of exactly what it takes to implement meticulously-detailed paid acquisition campaigns on Google Adwords and Facebook. That includes unlimited lifetime access and free updates for life. A comprehensive overview of how paid advertising works. The core fundamentals of what drives all paid advertising platforms. The importance of having a rock-solid funnel for paid advertising. 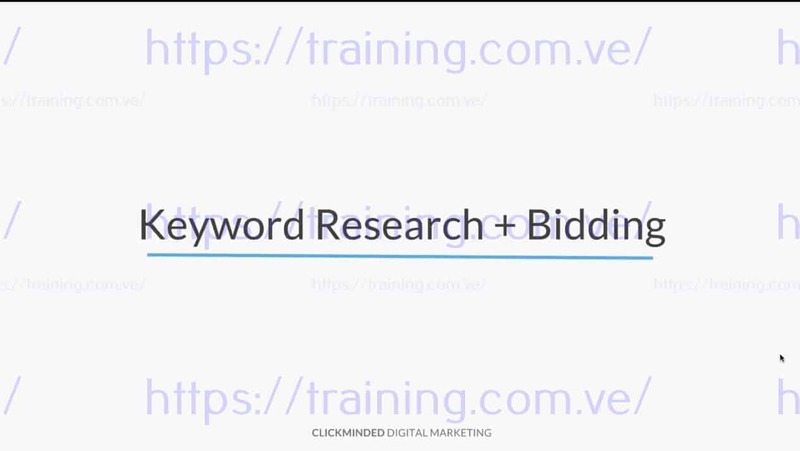 The down-and-dirty details of how keyword bidding works. Understanding your user intent and managing your bid process accordingly. The important details on what you need to get right with a new campaign. Once you have campaigns up and running, we go deep into optimization. Our favorite SEO tools, services, strategies and tactics. How to create brand new Adwords & Facebook campaigns from scratch. The class includes a certification. Finish the class, pass the final exam and you’ll earn your paid advertising certification. It integrates seamlessly with LinkedIn and it’s included in the class for free. Who's a good fit for ClickMinded? We're not for everyone. Here's who should (and shouldn't) enroll. You want to learn everything there is to know about Google Adwords & Facebook Ads as fast as possible. You want lifetime access and free updates for life, because things change all the time. You want to save time and easily train new employees or new members of your team. You want more conversions from Google Adwords and Facebook Ads. You have clients asking how they can increase conversions from paid ads. You want to join the 8,000+ other businesses using ClickMinded to learn digital marketing. You'll benefit from "over-the-shoulder" walkthroughs of technical optimization. You want to earn a paid ads certification (works with LinkedIn). You have time to teach yourself paid advertising through trial and error, in order to save money. You are comfortable keeping up with changes on Google & Facebook on your own. You already have a process to train employees and team mates on paid advertising. You don't need more conversions from Adwords and Facebook Ads. Your clients aren't asking for ways that they can increase conversions. Screw everyone else! You don't need nothin' from nobody and can do it yourself. You understand the technical stuff and don't need "over-the-shoulder" walkthroughs. You already have a portfolio or evidence to prove that you understand paid ads. ClickMinded is a digital marketing training platform. It has 7 courses on digital marketing, as well as a collection of digital marketing templates called the SOP library. It's designed to teach you how to massively increase traffic and sales for any website as quickly as possible. What comprehension level is ClickMinded? Can I expense this at work or write it off my business taxes? Do I have to show up at a certain time or can I attend whenever I want? How long will I have access to content? Wait... what? Free updates for life? What if Google, Facebook or someone else changes the rules! Do I need a certification?